NCC will achieve this feat on the International Day of Yoga on 21 Jun 2015 by participation of more than ten lakh cadets simultaneously at about One Thousand Nine Hundred centres/locations across India. The Prime Minister Shri Narendra Modi, while addressing the NCC cadets during the PM’s NCC Rally at New Delhi on 28 Jan 15 had exhorted the NCC to participate in Yoga on International Day of Yoga and create a world record. The NCC was encouraged by his words and through a coordinated effort aims to achieve this feat. 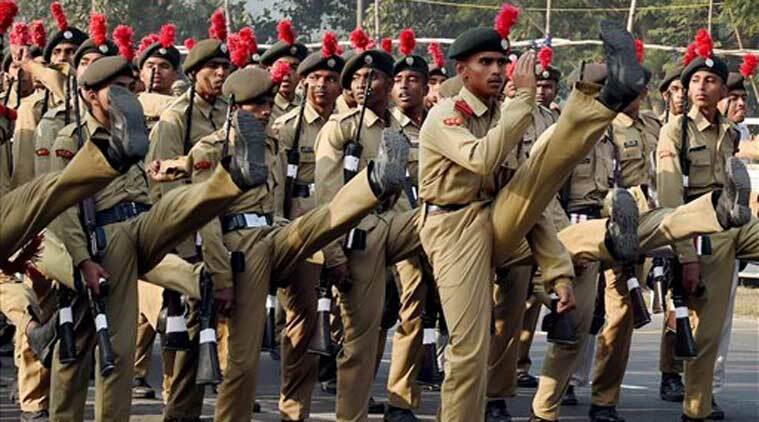 From April to Jun this year, the NCC trained its cadets in yoga over a period of fifteen days each. For this, nearly 2700 venues pan India were utilized and about 1800 instructors employed. 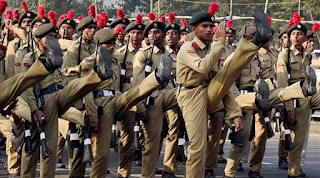 The mammoth task of training over ten lakh NCC cadets was accomplished by all the 17 NCC Directorates covering all the States and Union Territories of the country. NCC has been at the forefront of ‘NATION BUILDING’ by grooming the youth into disciplined citizens. It has been conducting social awareness and community development programmes and adventure activities aimed at all round development of its cadets. This unique record on the ‘International Day of Yoga’ will add another feather to the cap of this largest uniformed youth organisation in the world. The Minister later urged all the youth of the country and the industry to make use of the Employment exchange for industry by using the website www.eex.dcsmse.gov.in from today onwards. The index of mineral production of mining and quarrying sector for the month of April (new Series 2004-05=100) 2015 at 123.3, was 0.6% higher as compared to April 2014. The total value of mineral production (excluding atomic & minor minerals) in the country during April 2015 was Rs. 18163 crore. The contribution of : coal was the highest at Rs. 6549 crore (36%). Next in the order of importance were: petroleum (crude) Rs. 5489 crore, iron ore Rs. 2327 crore, natural gas (utilized) Rs. 2130 crore, lignite Rs. 331 crore and limestone Rs. 461 crore. These six minerals together contributed about 95% of the total value of mineral production in April 2015. Production level of important minerals in April 2015 were: coal 490 lakh tonnes, lignite 29 lakh tonnes, natural gas (utilized) 2576 million cu. m., petroleum (crude) 30 lakh tonnes, bauxite 2101 thousand tonnes, chromite 137 thousand tonnes, copper conc. 11 thousand tonnes, gold 95 kg., iron ore 122 lakh tonnes, lead conc. 21 thousand tonnes, manganese ore 167 thousand tonnes, zinc conc. 125 thousand tonnes, apatite & phosphorite 247 thousand tonnes, limestone 251 lakh tonnes, magnesite 23 thousand tonnes and diamond 3335 carat. The production of important minerals showing positive growth during April 2015 over April 2014 include ‘zinc conc.’ (56.4%), ‘lead conc.’ (48.5%), ‘magnesite’ (10.0%), ‘copper conc.’ (9.6%) and ‘coal’ (7.9%). The production of other important minerals showing negative growth are: ‘petroleum (crude)’ [(-) 2.7%], ‘natural gas (utilized)’ [(-) 4.4%], ‘limestone.’ [(-) 4.5%], ‘bauxite’ [(-) 8.8%], ‘iron ore’ [(-) 10.2%], ‘gold’ [(-) 11.2], ‘chromite’ [(-) 20.3%], ‘lignite’ [(-) 24.7%] and ‘manganese ore’ [(-) 27.1%].